Grilled shrimp are among the most popular seafood dishes. They are served separately, used to make salads, pasta, and other dishes. They look appetizing and can be used to decorate various seafood dishes. In many cafes and restaurants, fried shrimps or dishes from them occupy the first lines of the menu. If you know how to fry shrimp in a pan you can enjoy this delicacy at home and treat them to guests at home. With knowledge of some of the subtleties with the preparation of such dishes, even inexperienced cooks successfully cope. When cooking seafood at home, you need to know a few moments otherwise the result may not meet the expectations. Shrimp this rule applies in the first place, as they are easy to spoil. The main task of the hostess is to choose high-quality shrimps, as they are the most delicious and healthy. On sale, you can find fresh, fresh-frozen and cooked-frozen seafood. If they are damaged, dark spots can be found on their shells, such crustaceans should be left in the store. When choosing an ice cream product, you should pay attention to the amount of ice - the icing should be thin and even. Chunks of ice or snow in a bag are signs that the product has been defrosted. The size of the shrimp and their shelf life can be judged by the inscriptions on the package. The fractional number, which can often be seen on the package with shrimps, indicates how many mollusks there are per kilogram - the smaller the number, the larger the shrimp. Fry shrimp can be both in the shell and without it. In the shell, they are more juicy and tender. Usually in the shell of crustaceans mollusks are prepared, if desired, to serve them as a main dish. If shrimps are used for a salad or other dish, it is more convenient to cook them peeled. Tiger and king shrimp fry almost always in their shells, clean them if necessary afterward. Before frying in the pan shrimp cannot defrost. They are spread on a hot skillet and fried without a lid on medium heat until the liquid formed during heating evaporates from the pan. After that, oil, spices, other ingredients are added to the pan, and seafood is brought to readiness. If you decide to defrost the shrimp before cooking, it is better to give them the opportunity to thaw at room temperature or under a stream of cool water. Accelerate the process using a microwave cannot. Before you put the shrimp in the pan, it is necessary to warm it. Fry time of shrimp depends on their size and initial state. Fresh and fresh-frozen small-sized shrimps prepare 8 minutes, large - 10 minutes, royal and tiger - 12 minutes. 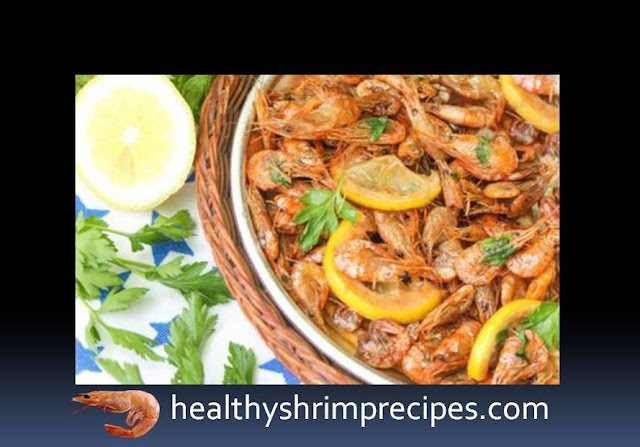 Cooked and frozen shrimps cook 2–3 minutes faster. In shell or not, it does not matter. Shrimp's readiness can be judged by their color and shape. Ready-made shrimps lose their transparency and fold. If you fry the shrimps in butter or on its mixture with olive oil, they will be more tender and refined. 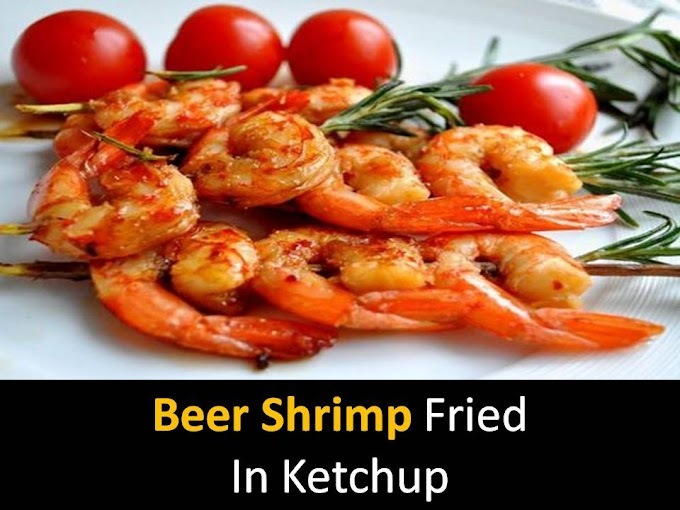 The taste of fried shrimp depends largely on what spices, spices and other ingredients were used in their preparation, so there are many recipes for this dish. Squeeze juice out of a lemon. Garlic cloves pass through the press. Heat the pan. Without thawing, put shrimp on it. Warm them over medium heat, without covering the pan with a lid, until the liquid evolved from the shrimps is evaporated from the pan. Add butter. Fry the shrimp on both sides, giving each side 2–4 minutes depending on the size of the crustaceans. Salt, pour lemon juice and leave on the pan for another 1-2 minutes. Transfer to a bowl, add chopped garlic, mix. When serving, you can decorate the dish with sprigs of fresh greens, lemon slices or lime. Cut the garlic into small plates and pepper into rings. Remove the seeds from the pepper rings. Melt the butter in a pan, put the garlic and pepper in it. Cook them over medium heat until the garlic turns dark. Remove peppers and garlic from the pan, put shrimps on it. Cook them for 4–5 minutes on each side, covering the pan with a lid. Put the fried shrimp on the dish, sprinkle with lemon juice. Separately serve soy sauce. This appetizer has a savory taste; it will appeal to lovers of spicy dishes. Similarly, you can cook shrimp with ginger - it is cut into plates, which are replaced with Chilean pepper rings. If instead of butter you use olive oil, there will be no big trouble either. Thaw shrimp. Add to them the garlic passed through a press, cover with soy sauce. You can pepper. Leave to marinate for 20 minutes. Peel the onion, cut into half rings. Fry until golden brown in a small amount of vegetable oil, remove from the pan. In a clean skillet, melt the butter add the remaining olive oil to it. Shrimp squeeze from the sauce put in the pan. Fry them for 3-5 minutes, stirring. Cooking time depends on the size of the crustacean mollusks. Transfer the shrimp to the dish. Lay the onion on top. Soy sauce gives seafood a unique taste. Additionally, the dish can be served with slices of lime, sprigs of parsley or dill. Shrimp, thawed, remove from the shell, remove the intestines (dark strips running along the bodies of crustaceans of mollusks). Fold the shrimp in a bowl. Combine soy sauce with lemon juice, squeezed from half of the fruit. Pour the resulting marinade shrimp. Put them in the refrigerator for half an hour. Break eggs into a clean bowl. Add a pinch of salt and pepper. Beat with a whisk or fork. Add flour. Stir to avoid lumps. Dip shrimps from the marinade, dip them in a batter and spread on the pan in one layer. Fry for 2 minutes on each side - due to the fact that the shrimp were pickled, they cook quickly. Put the finished shrimp on a plate covered with a napkin so that it absorbs the excess oil. Also, fry the rest of the seafood.